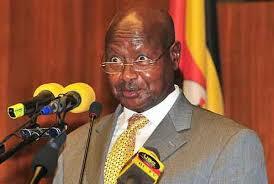 President Yoweri Museveni ays he will personally endorse public loans. Courtesy photo. KAMPALA. President Museveni will from now on personally endorse loans that public entities ask for before the loan requests are tabled before Parliament. The move aims at lessening the country’s debt burden. Presently it is the delegated Minister of Finance and the different line ministers, accounting officers of the entities that intend to borrow money and the guarantors who sign for the loans. “I received a letter from the President, concerning the public debt of Uganda and the status of loans,” the Speaker of Parliament, Rebecca Kadaga, said. She did not say when the President wrote the letter. According to Ministry of Finance June 2017 figures, Uganda owes international lenders $7.2 billion (about Shs26 trillion). The tenor and the interest rates vary with the bilateral or multilateral lender.